This weekend the annual Worcester Irish Music Festival is taking place at the Worcester Hibernian Centre & Fiddler’s Green on Temple Street. The Telegram did a good write up about the entertainment line up which includes the likes of Irish super group Solas. 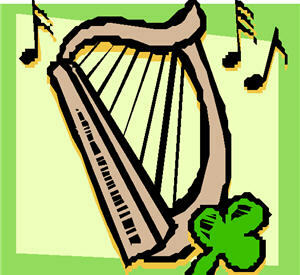 This event though focused on Irish Music and Celtic tradition is a great family event whether you are Irish or not. I confess I’m a sucker for Irish step dancing and fiddling but there are other events including the strange but interesting Boiled Cabbage O’lympics. It takes place on Sunday with 16 teams of 2 facing off in kicking races that involve not a soccer ball but a head of cabbage. It may not be too late to enter but you will have to fork up $100 entrance fee. Kate Chadbourne is a singer, storyteller, and poet whose performances combine traditional tales with music for voice, harp, flutes, and piano. She holds a Ph.D. in Celtic Languages and Literatures from Harvard where she teaches courses in Irish language and folklore – but the heart of her understanding of Irish folk tradition comes from encounters with singers, storytellers, and great talkers in Ireland. Her performances will be taking place on the main stage starting at 3:30pm. This festival is relatively new founded three years ago but seems to have staying power. The strong Irish community in Worcester as well as Central Mass provides for a great base level of attendees.